The T5552-F1B Venturi Flow Transducer adds to the T5552-F1 Smart Transmitter Module to provide measurement of flow rate in the T5552 Process Control Learning System. 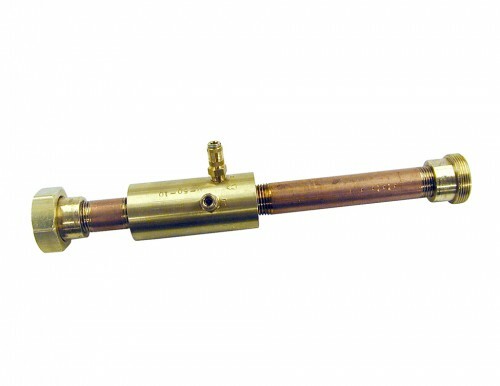 The transducer has pre-mounted pipe unions, making it easy to install in the T5552 process piping and later interchange with other flow transducers. The feedback signal is a differential pressure measurement created by two pressure taps located on the transducer. These pressure taps connect to the smart transmitter with quick connect hoses.